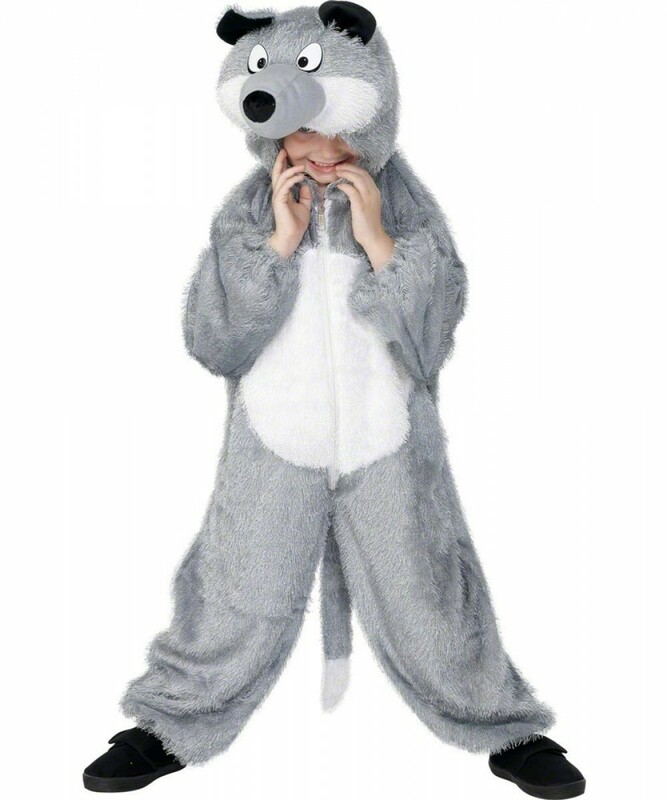 Huff and Puff away with this scary Big Bad Wolf Costume - a furry animal body suit with attached hood containing the animals face and pointy ears. The costume simply zips up to fasten and is covered in a soft string effect giving it a furry look. The hood does not cover the face making it easy to wear this item all day long! This Big Bad Wolf costume is perfect for Book week or Fairy Tale Character fancy dress! This costumer is available in size medium. One piece animal fancy dress costume.